The National Highway Traffic Safety Administration (NHTSA) recently calculated how much money car accidents cost the country in 2010. The result is nothing short of "jaw-dropping." Between the cleanup of the accident, the bills and insurance of those involved, the repairs to cars and roadways, and the lawsuits that followed the crashes, the United States lost $871 billion that year. This price was the result of 24 million damaged vehicles, 3.9 million injuries, and 32,999 deaths across the nation. This is about 2% of America's gross domestic product—the amount of money the country made in a year. The NHTSA offered another perspective to understand this number: It's the equivalent of everyone in the U.S. paying $900. The NHTSA calculates these statistics once every decade, so we won't know until 2020 whether conditions are improving. Were You Hurt in a Car Accident? As if the pain and complications weren't enough, numbers like these can make recovering from an accident feel hopeless. Don't give up—call Edgar Snyder & Associates. If you were hurt in a car crash, you may have a case. Call us at 1-866-943-3427 or use the form in the top right corner of this page for a free legal consultation. Let us help get you back on track. Call today. 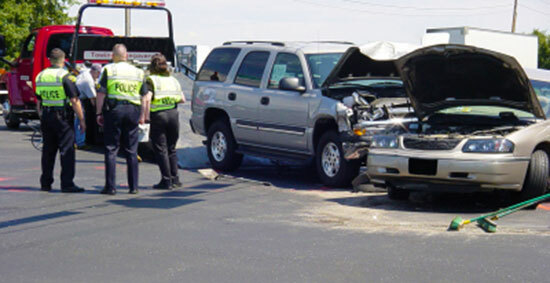 Source: "Motor Vehicle Crashes Cost U.S. $871 Billion in 2010." The Associated Press. May 30, 2014.